A VOICE IN THE DARK colorist and cover artist Sylv Taylor is from Canada, and her earliest influences were X-Men, Alpha Flight, Moon Knight, Cloak and Dagger, and A Distant Soil. 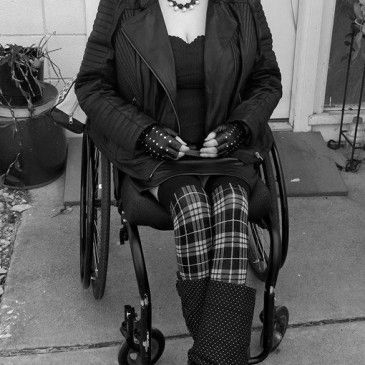 She is in a wheelchair due to back injuries, and colors comics and creates covers despite being legally blind. She is currently working on coloring the AVitD Vol. 2 collection even while battling cancer.